How Can Teachers Help Students See Themselves in the Curriculum? 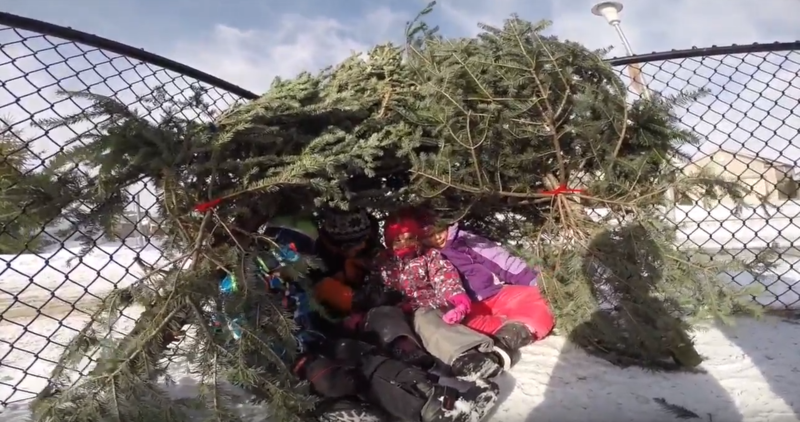 “What’s your plan?” yells a panting eight-year-old as he runs up to a group of his classmates working to build protected shelters for the kindergarteners out of recycled Christmas trees. The video is shot from his perspective and the viewer can not only hear his steps crunching in the snow, but hear his panting breath and his heart beat as they experience this school project from his perspective. It’s all part of third grade teacher Michelle Cordy’s plan to help students see themselves in the curriculum and take ownership over their work. Cordy first got the idea to put GoPro cameras on her students from her husband, who teaches kindergarten in an outdoor education program. He had tried equipping students with a GoPro to see what the day was like from their perspective and brought the video home for viewing. Cordy said they were on the floor laughing at the things students said and did. But it got her thinking about how she could use cameras to be places she wasn’t. “We realized that we saw things that we miss because our attention is in different places,” Cordy said. Seeing the world from the height of an eight-year-old’s chest (that’s where the camera is strapped) changed how Cordy viewed what was happening in her classroom. She started calling camera-wearers the “Hero of the Day” and tasked them with checking in on each group as they worked on a project. When a classmate asked students, “What is your plan?” it forced them to stop, think about their plan, and reflect upon it, something that might have gotten lost in the excitement of being outside building. “It ended up being this cool tool for kids to be metacognitive,” Cordy said. It’s also serving as a duplicate set of eyes for Cordy. She takes the raw footage home, and while trying not to get too nauseous from the jerky cameras, she edits it down into something more meaningful she can show her class later. “It served a double purpose of capturing in the moment stop, think and justify,” Cordy said. She also found she could see soft skills at work as students worked with one another, shared tools and tried to apply what they were learning to the project. When rewatching the video with students, Cordy could stop and have a discussion with the class about an interaction and how it could have gone differently. The whole class became part of a reflective conversation that otherwise would have just been between the teacher and a few kids. The same goes for moments of bad behavior or altercations between students. In the moment everyone is riled up, including the teacher, who is frustrated at the behavior she sees. But later, when everyone has some distance from the event and it has cooled off, Cordy can have a very different conversation with students about what happened. 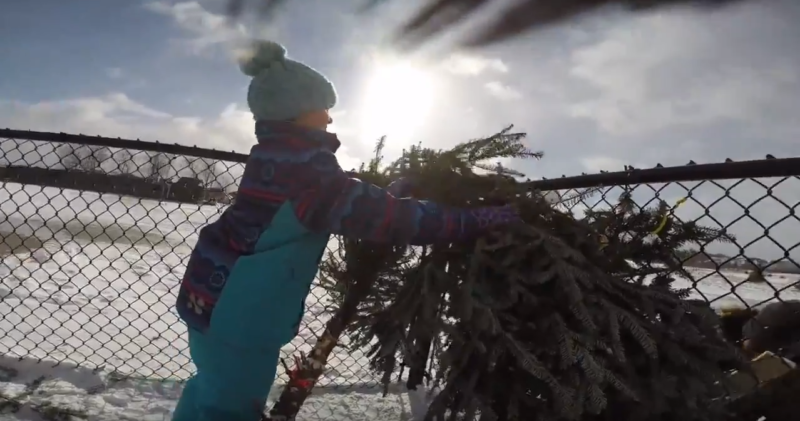 Obviously editing down hours of GoPro footage and showing it in class is time consuming, so Cordy only uses her GoPros when she has planned a particularly hands-on lesson or a big activity, like the Christmas tree shelters, that students have been planning and talking about for awhile. “You can do this instead of something else if you think it’s a bit more powerful, a bit more engaging, that it’s going to get to something better than other technology,” Cordy said. Her students love seeing and hearing themselves on film. They love being the Hero of the Day and they ask to watch the videos over and over again, the same way they would with a favorite toy or book. Adding GoPros into the mix also helps Cordy identify things about her lesson that she didn’t necessarily anticipate. In the snow shelter video, for example, it was a surprise to her when students said they had no plan. They’d been working in groups to design their shelters and think about materials for days before actually getting outside to build. Cordy felt like the exercise had been well-scaffolded, so it was useful to see in real time how students needed reminding about their planning work. Cordy teaches at a public school in a middle-income neighborhood in London, Ontario. She has a big curriculum to cover, just like many other public school teachers, but she sees it as her duty to not just get through the content and help kids learn what they’re expected to master by the end of grade three, but also to find ways for them to see themselves in the curriculum. She compared the process to budgeting money in life. She makes sure to pay her mortgage and grocery bills, but also budgets for fun and home improvement. Teachers have to make sure they cover the bases for testing and curriculum, but still budget time for the fun, exploratory and child-honoring activities that kids will remember, but that also tend to take more time. When Cordy feels bogged down in things like grade three end-of-year testing, she tries to reach out to other like-minded educators she’s met in her district, at conferences, or on Twitter. “Talking to other educators who are passionate and engaged is like putting on an oxygen mask,” Cordy said. Their energy and commitment help remind her why she loves teaching, and the deeper mission and goals she has for her student learning that go way beyond what’s in the curriculum.